New York Sound and Motion is a full-service video production company located in Springfield, Massachusetts. Formed in 2002, NYSM set out to change the look and attitude of local independent video and film makers. We work with the latest in technology and have over twenty-five years in the production business. We hope to bring a little Madison Avenue to Massachusetts without New York prices! We work with all budgets to design effective messages for our clients. Book the 36’x22' studio by the hour or by the project. Experience editing your production with one of our experienced editors, in one of our two Avid, or three Adobe Premiere edit suites. We specialize in Ultra High Definition production (4k) as well as traditional high definition. 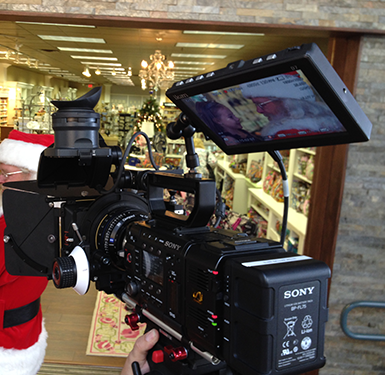 With our flagship camera system, the Sony F55 equipped with Zeiss and Nikon prime lenses, we can create an image of national quality, right here in Western Massachusetts! We integrate the latest software, hardware, and technology to remain the cutting edge video and film production company in the region. We were one of the first full-HD facilities in Western Massachusetts and are now the only full-scale, 4K production company in the area. NYSM produces more than 500 video projects annually for clients in education, healthcare, corporate and non-profit enterprise, small business, and government. Our clients include the Springfield Public Schools, the Massachusetts Department of Elementary and Secondary Education, The City of Springfield, Interstate Towing, Haymond Law, Rocky’s Ace Hardware, Brunelle’s Marina, UTC Aerospace, The American Inn, MGM Springfield and over twelve ad agencies in the Northeast. We serve small family-owned businesses as well. The way we see it, everyone has a budget for New York Sound and Motion and our customer service record proves why we are the leader in video production in Western Massachusetts.